Pain can be a tricky thing. And when it is acute there are few things that are worse. Whether your pain is chronic or more immediate and related to a recent auto or sports-related injury, acupuncture for pain management can offer relief. While we will begin by discussing your current symptoms, it is also important that we look at all the contributing factors – Sometimes the cause of the pain is different that what is expected. While pain often “feels” very localized, pain management, as with most things, requires that we open our eyes to see past the “thing that hurts” to see the bigger picture. It is important to consider the variety of factors that may contribute to, or exacerbate, your experience of pain. In doing this we can effectively treat you. The key here is YOU… You as an entire system. Your experience of pain, or the way in which your body carries an injury is unique to you. While we share a similar physiology, our experience of pain and the way in which our nervous system handles it are very individual. 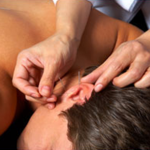 Acupuncture is a wonderful tool for treating pain and managing chronic pain issues. and you are encouraged to contact us with your questions! Here in Silicon Valley, sports-related injuries this can include Tennis Elbow to Mouse/Gamer’s Elbow! Add to the list sprained ankles, swollen knees, hyper-extended joints and more. With auto-related injuries can come neck and spine issues, wrist and ankle trauma, post traumatic stress and more. Here at Valley Acupuncture we treat our fair share of weekend warriors, active athletes and defensive drivers caught at the wrong place at the wrong time! As with our pain management clients, we want to start with an overview of the big picture. The mental, physical and emotional YOU was there at the time of the injury and acupuncture is a wonderful way to calm the system and allow deep healing to occur. If you have questions about how we can use Acupuncture to treat your pain or injury, please call for your initial consultation. And remember, that is free. Call 408-835-7870 or Email Us via our Contact Page.